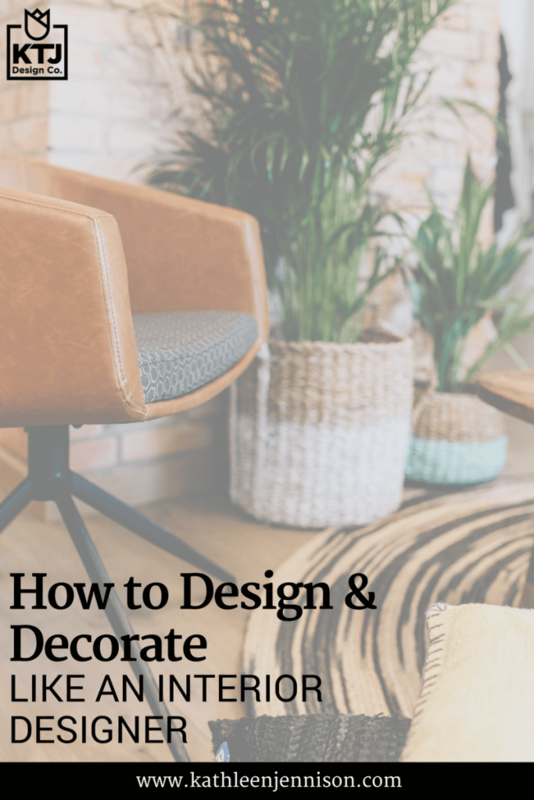 How to Design & Decorate Like an Interior Designer — KTJ Design Co. 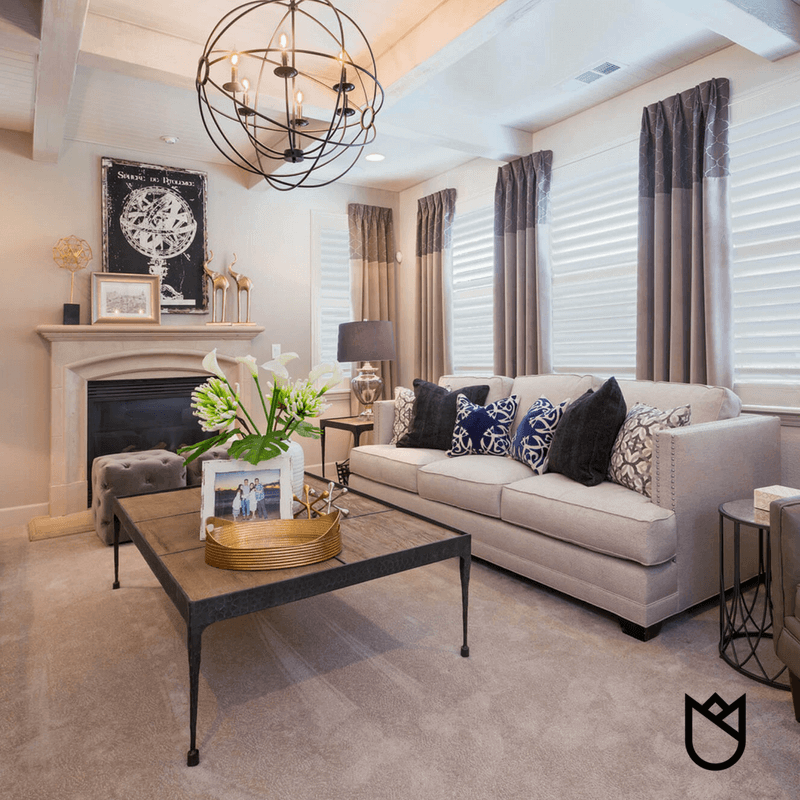 Most people don’t think about the window coverings until the very end of their design project. At this point, the budget is almost depleted, which is a shame, because these elements are the MOST important. Tip: Allocate at least 16% of your budget to window coverings. Please do not go to the local big box store and buy white faux wood blinds. (Ick.) There are so many more options. Yes, they will cost you a little more, but boy ‘o boy will you reap big rewards. 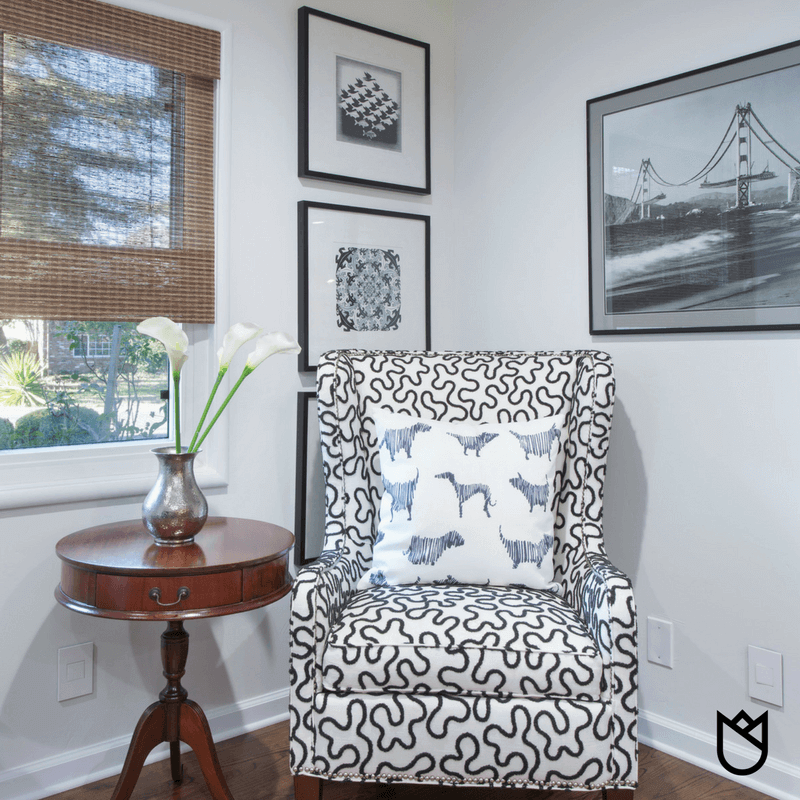 Consider drapery, woven wood shades, roller shades, or track panels. Drapery is my favorite because it adds volume and luxury to any room. A small window is made to look larger by placing the drapery panels higher and wider than the window itself. Mount drapery hardware as high as possible (even mount on the ceiling) to give the room more height. Don’t “puddle” the drapes on the floor; let them break 1 1/2 inches from the floor. Find a piece of artwork that thrills you, then pick three colors in the artwork and use it as your guiding palette for the rest of the design. Have a favorite pattern? Repeat it in the wallpaper, textiles, sculptures, or artwork (adding pattern makes people feel calm). Hang artwork with the center line 60” above the floor. This will make the focal point at about eye level. Group small pictures to create one unit and use the same 60” on center rule. Pairs of pictures should be arranged symmetrically. Never place the top of the artwork higher than the tops of the windows. You've spent a lot of time and money designing your home, so let's make sure you can see it! I believe that at least one room in your house should have a chandelier. To figure the right sizes, simply add the length and width of the room in feet and this number, in inches, should be the diameter of your chandelier. For example a 12’ x 12’ dining room should have a 24 inch wide fixture. Layer One - Ambient lighting is the general all-over lighting; recessed can lights generally work best. Layer Two - Task or focal lighting, includes floor and table lamps. Layer Three - Decorative lighting that amps up the wow factor, includes chandeliers, sconces, and pendants. Need some help with your interior design or in finding your wow factor? Book a two hour Remodel Clarity Session right now.